My third grade teacher Mrs. Carr. She would have taught at Mt. Vernon Elementary in Roanoke,VA. I can honestly say that she made no impression on me whatsoever. 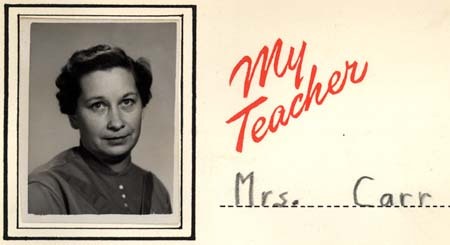 However, like most teachers, she can probably bypass the paperwork for entrance into heaven.